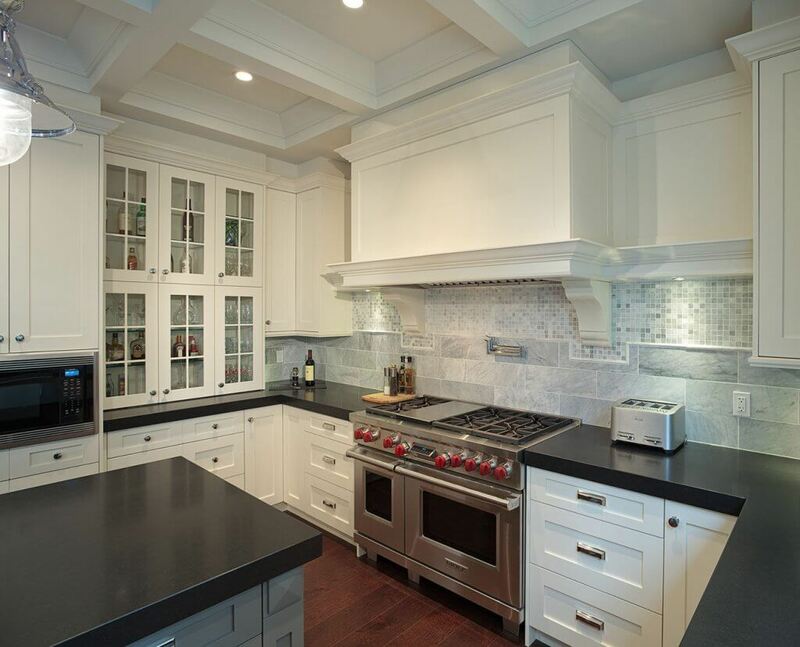 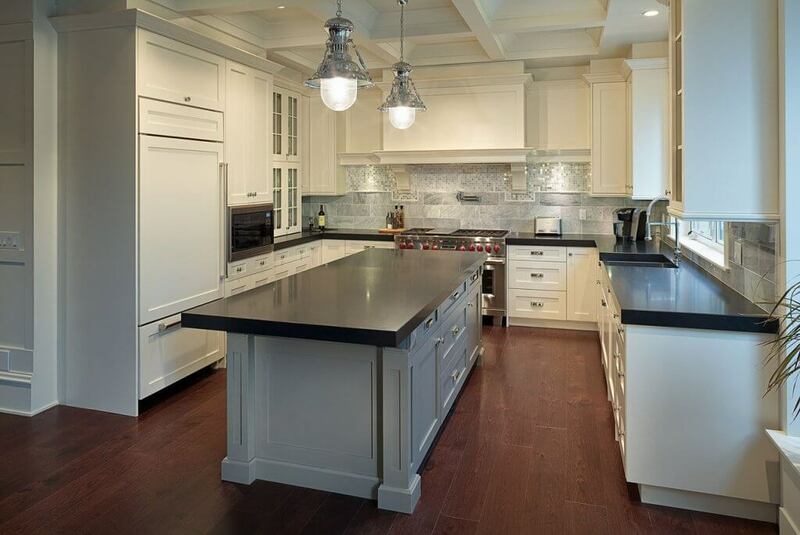 The classic white kitchen cabinetry with the dark granite countertops help make the unique two-toned backsplashes a focal point of this kitchen. 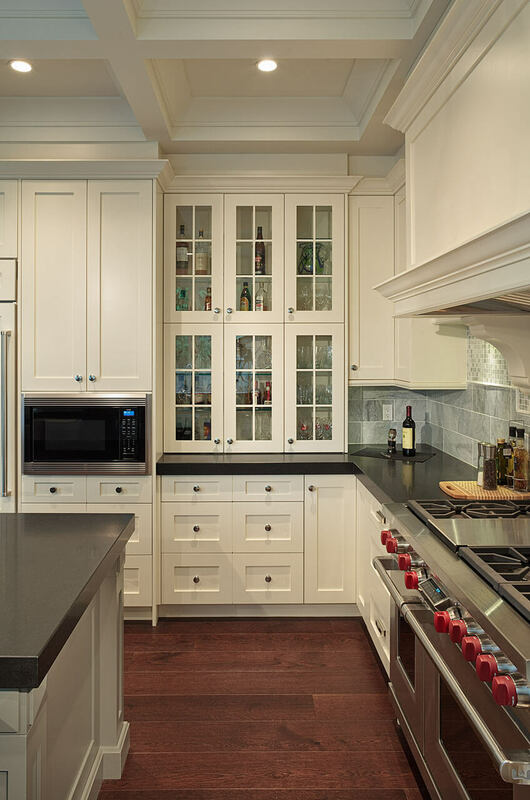 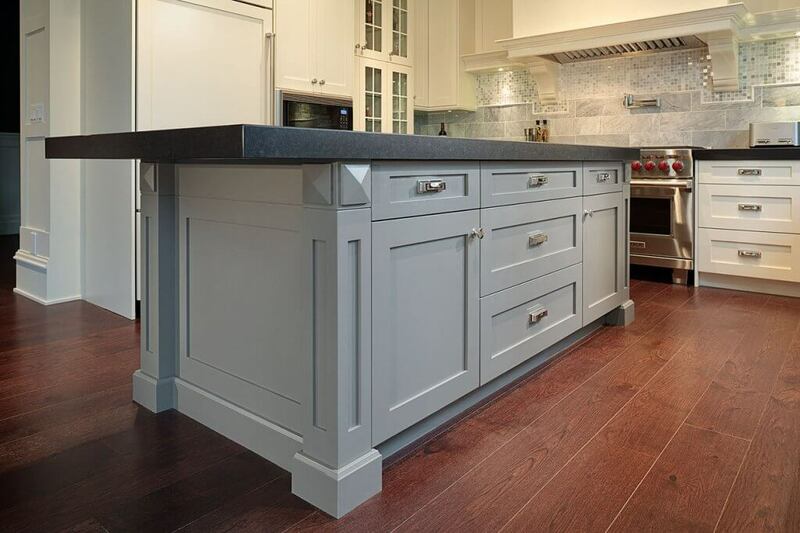 The glass front counter to ceiling cabinets helps add an open feeling to this functional corner of cabinetry. 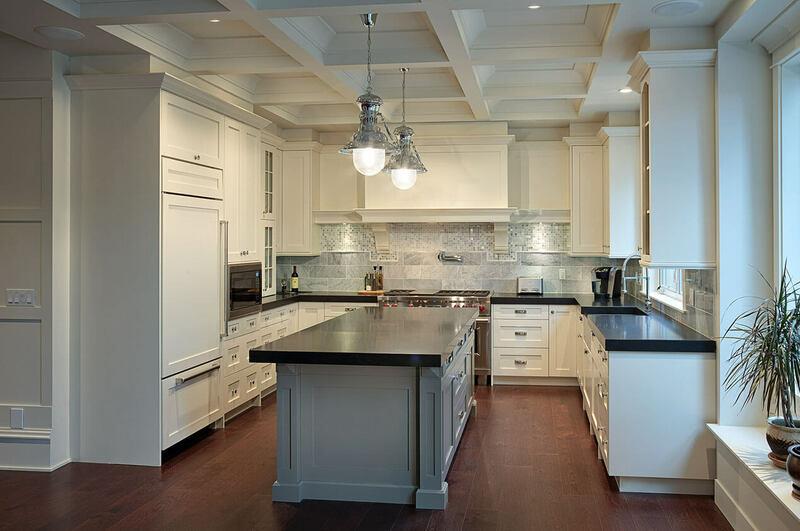 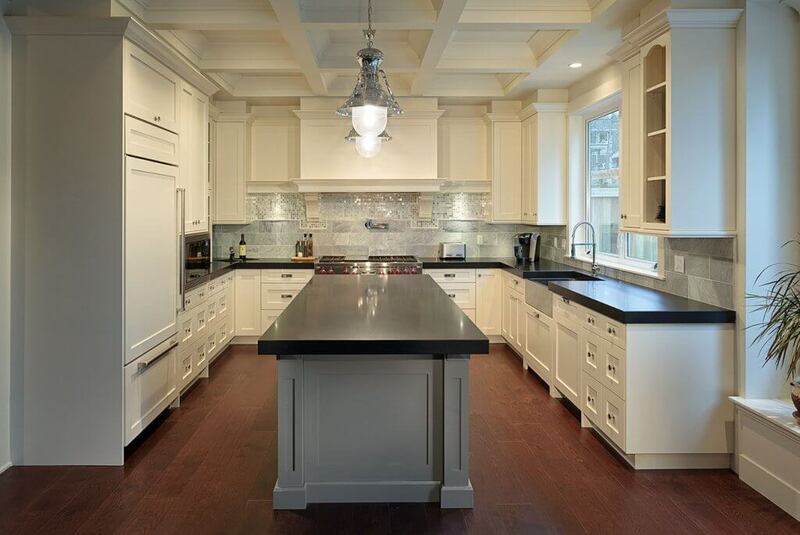 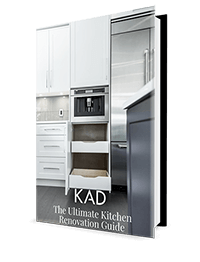 By using a simple classic white shaker cabinetry and a light grey accent island, it helps to make the wainscotting on the ceiling and the abstract backsplash pop. 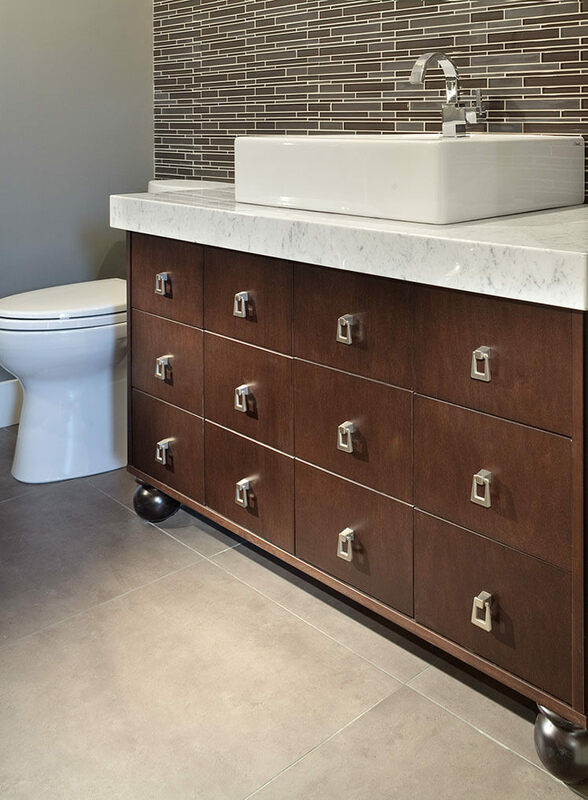 These drawers are actually false fronts that expose two large cabinets. 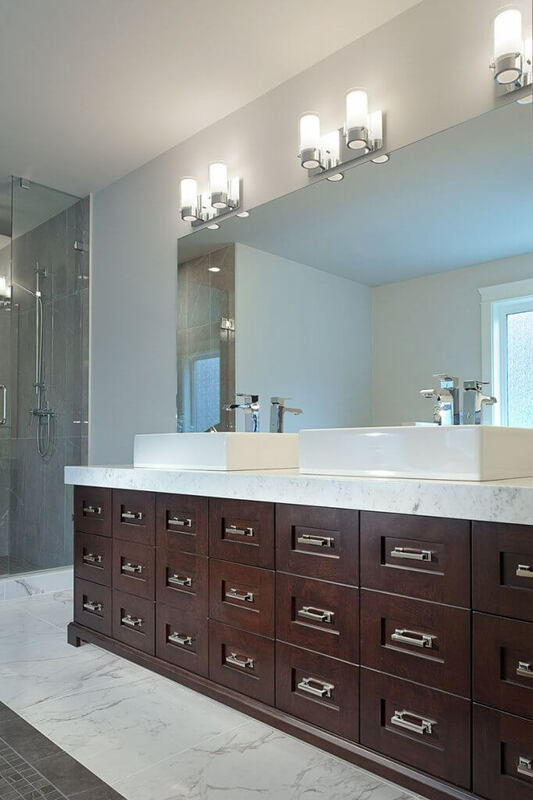 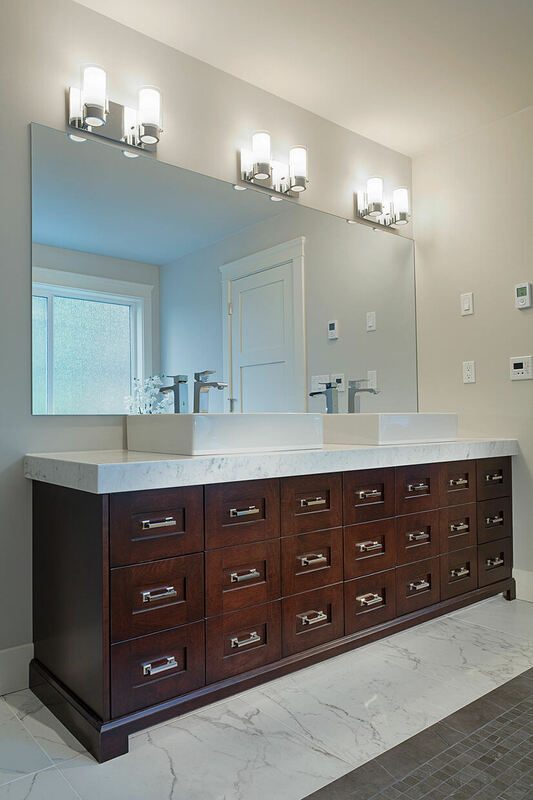 Adding the false front and the unique hardware make this vanity a statement piece.